The enthusiasm of record collectors everywhere has kept vinyl from being pushed into obscurity. But while listening to records is still very much a thing, walking around while listening to records was never a thing. 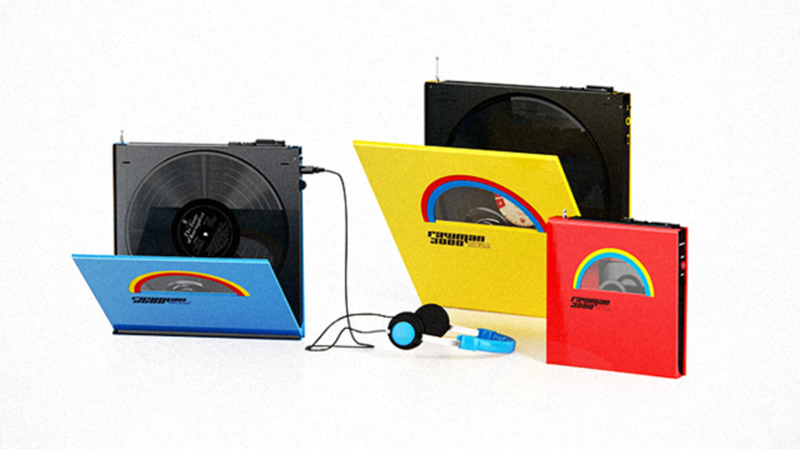 Design agency Rocket and Wink thinks that's a shame—so they drew up a concept for a portable record player that would allow people to enjoy their records on the go. Their vision, which they dubbed the Rawman 3000, would be available in a variety of bright colors and sizes: 12-inch, 10-inch, and 7-inch. The device would have old-school features like an antenna and large headphones, but also newer additions like a USB port. While clunky looking, one has to remember that back in the day, people would sling boom-boxes over their shoulders. In comparison, these slim players would be a breeze.